12th season of IPL is about to begin and IPL auction will be held on December 18. 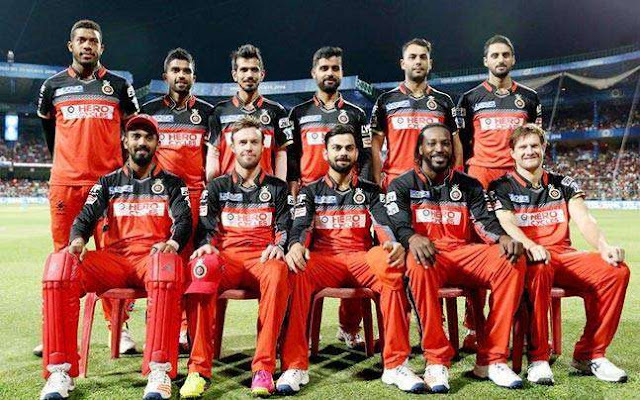 Royal Challengers Bangalore team is one of the most popular team on IPL due to their players. RCB 2019 team player list is paced below. Royal Challengers Bangalore is one the most balanced team of Indian Premier League, although, they did not win any IPL title till now. IPL 2019 is hoping to see different game plan from RCB team and hoping to get IPL title this year. Indian Cricket Team captain Virat Kohli will continue to lead Royal Challengers Bangalore. World’s top two batsmen Virat Kohli and AB de Villiers are playing for the Royal Challengers Bangalore team 2019. For the bowling attack, RCB has leg spinner Yuzvendra Chahal, while Mohammad Siraj and Umesh Yadav will join hands with Tim Southee as the pace bowling trio. RCB 2019 team players list is placed here. The home stadium of RCB is M Chinnaswamy Stadium and half of the matches of Royal Challengers Bangalore team are schedule in this stadium.